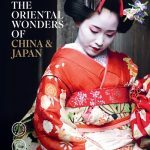 Scenic Luxury Cruises and Tours has launched its Oriental Wonders of China and Japan 2019/2020 brochure, with a new flagship tour through China – 27 Day Silk Road and Tibet Discovery travelling from Beijing to Chengdu. 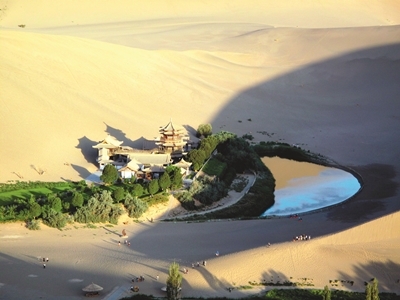 In an offering unique to Scenic, this new itinerary takes in a section of the ancient Silk Road and includes two nights in Dunhuang or the City of Sands where guests will have the opportunity to experience incredible natural wonders that are surely once-in-a-lifetime experiences. Such as the Yadan Landform, a massive geological park that is comprised of strange wind eroded landforms, which appear like medieval city. Or a camel ride through the Singing Sand Dunes, a natural phenomenon where sand grains shuffle down the slopes of sand dunes and produce a deep, groaning hum that reverberates for miles. Onto the Crescent Moon Spring, a natural wonder of the Gobi Desert. Just as its name implies, the lake appears like a crescent moon and with its crystal clear water, resembles a turquoise or pearl inlaid in the vast desert sand dunes surrounding it. Or a day visit to the Mogao Museum, Caves and Grottoes. Once home to many monks and nuns, the caves are a system of sanctuaries and temples filled with ancient Buddhist statues and paintings dating back thousands of years. There are many jewels in the 2019/2020 China program, from Beijing to the Gobi Desert and the mighty Yangtze River to the Tibetan Plateau. However, you can also look forward to so much more. Discover exciting Shanghai, delight in unique Xi’an. Indulge in China’s incredible cuisine and in the visual splendour of its greatest waterway. When all is done, you may find yourself changed by all you’ve seen and experienced. And that of course will be the finest jewel of all. And then onto Japan. Marvel at the beauty of Japan, both natural and cultural. For a land of modest size, Japan has more than its share of wondrous cities, imposing volcanic peaks, natural springs, and beautiful temples, shrines and pagodas. Modern design and cutting edge innovation are omnipresent, as are the echoes of the ancient Shinto codes that still have such an enduring influence. Here, creativity and discipline go hand in hand, and technology and traditional artistry combine to create a truly unique society. Book any journey to China departing after 1 August 2019 and receive free Yangi Explorer cabin upgrade. Scenic Freechoice are a vast range of included activities, sightseeing and dining experiences guests can choose from. From visits to palaces and centuries-old temples, exploring silk markets or unveiling ancient traditions, to partaking in time-honoured rituals or oriental cooking classes, Scenic Freechoice gives the flexibility to pick the activities that suit interests. Whether guests are exploring elaborate temples in Kyoto, monasteries in Tibet, the Great Wall of China or bustling Tokyo, this brochure is packed with unforgettable journeys.